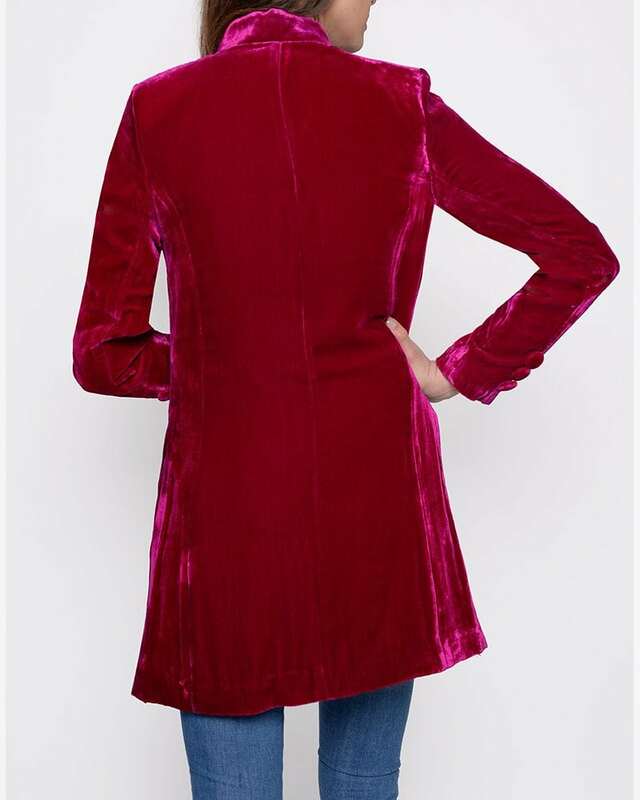 Pink velvet Grace Jacket with flattering fit through straight cut and side slits. 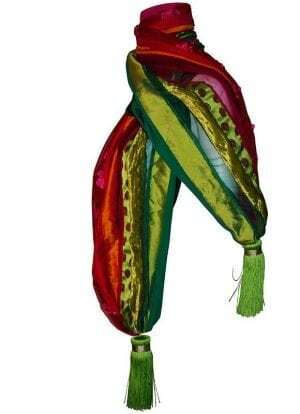 Stand-up Nehru collar. Velvet covered buttons down front and on cuffs. Lined in matching satin.